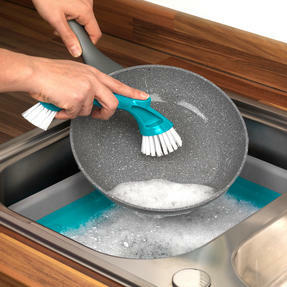 Keep your kitchenware and cooking utensils sparkling with this Beldray mini cleaning brush. With wonderfully tough bristles to clean away even the most stubborn stains, the brush is cleverly designed to withstand the demands of a busy kitchen. 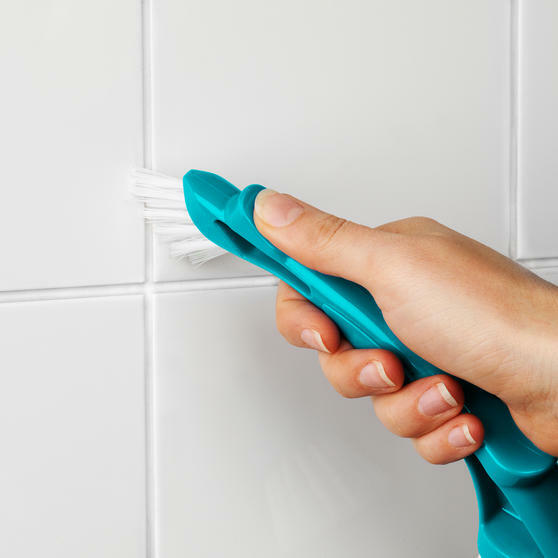 There is a brush on each end so you could also clean your kitchen and bathroom surfaces with the tool, for a truly immaculate finish after every use. 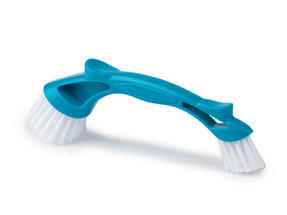 The ergonomic handle means you have a very comfortable grip and can finish cleaning in half the time. Make washing up less of a chore with this Beldray mini cleaning brush, all it needs is a little washing up liquid to get the job done. The double ended brush can also make you kitchen and bathroom surfaces spotless, its lightweight handle providing comfort as you clean. Remove messy leftovers from your pans and casserole dishes with ease, the hard-wearing bristles are efficient without being abrasive. Measuring at just 23 x 8 x 4.5 cm, the mini brush is perfect for cleaning difficult corners and spaces, such as dirtied tile grouting. The handle has a smart ergonomic design for advanced comfort as you clean, so you can let the brush do all of the hard work for you.